Vaduz Castle, residence of the ruling prince. 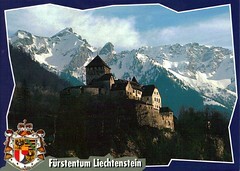 Furstentum, Liechtenstein. Postcard received from Don on holidays in Europe.